Plans for 12 new social housing apartments on the Garvaghy Road have been welcomed by Sinn Fein and the SDLP. It is understood the apartments, which are being built by South Ulster Housing Association (SUHA), will be located at 148 Garvaghy Road, behind the shops. 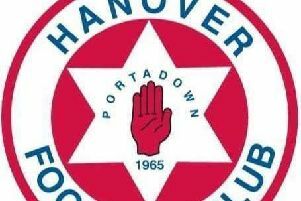 Letters have been sent out to neighbouring residents and a public consultation will be held on Thursday, November 9 at 5pm in Portadown Town Hall. Sinn Fein MLA John O’Dowd said, “Sinn Féin have been lobbying for many years for more social housing in this area and while we have had some success with the development at nearby Curran Street we have always contended that more housing was needed. SDLP Upper Bann MLA Dolores Kelly said the proposal builds on the success of SDLP housing ministers in bringing new homes to the area. She said, “The SDLP has been at the very front of efforts to deliver more social housing in the Garvaghy Road area. She encouraged local people to take advantage of the consultation period. Cllr Paul Duffy also encouraged residents to attend the consultation event and said Sinn Fein had asked for it to be moved to a community facility in the area to allow as many people as possible to attend.